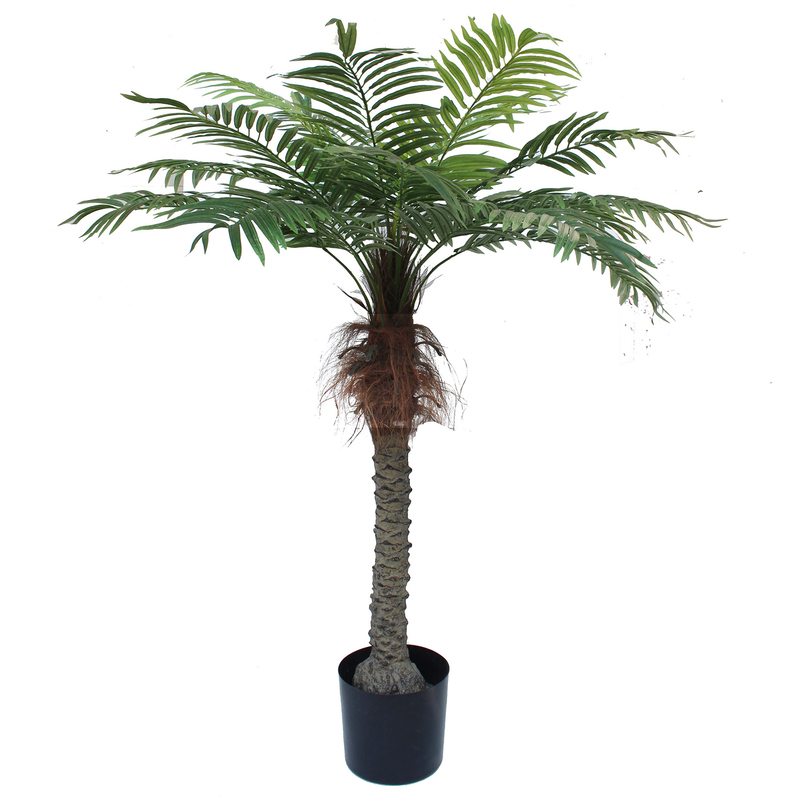 Stunningly beautiful, this 4'11" phoenix silk palm tree with pot is one of everyone's favorite indoor palms. This phoenix palm tree lends a special beauty to your home and workspace. It'll instantly create a tropical feel, calming your mood and adding greenery to an otherwise lackluster environment. This artificial palm look real and only on close observation would people realize that they're actually looking at an expertly crafted silk palm. It's virtually a no-maintenance plant, requiring no watering or pruning. This phoenix palm tree is versatile enough to be placed in any environment - you can truly cherish it for a lifetime! Height - 4'11", Width - 40"